Imamura is a legend in drifting, one of the most successful drivers in the sport’s history with multiple D1GP championships to his name, a big name at the top of the sport and still liked by old school heads who adore his OG Corolla. He also spent much of his career balancing driving with being a florist. Cool dude. 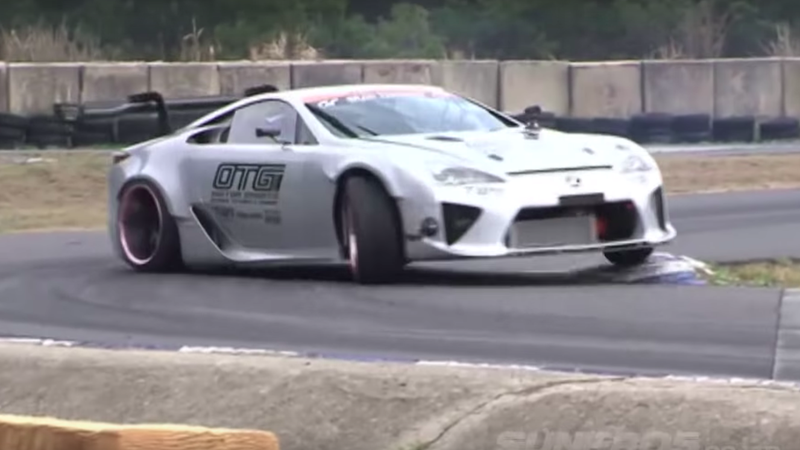 In any case, Video Option (the official media of D1GP) put out a little video the other day detailing how this thing got built, and how it wasn’t easy. I’ll get it out of the way that when the car works, it looks absolutely unhinged. The V8 absolutely howls in a way that makes you not miss the old V10 (swapped out for the more durable and proven TRD engine), and the car looks as skittish and aggressive as you’d expect a front-engine supercar to be. Cut ahead to around 12:50 in the video and watch the front and rear skid out almost independently of each other, back sliding, front sliding, all sliding, the throttle blipping while Imamura slides into the corner. The first issue with the build was cost, which is neatly explained in terms of how many other cars one could afford in its place. Eep. Then it busts what looks like the front crossmember or some part of the subframe under the car on another test. Add in the cost of wrecking the car and it’s no huge surprise that this build was maybe a step too far for a contact sport like drifting. 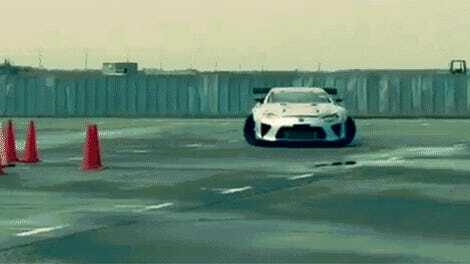 Still, it’s a reminder that the most interesting builds in the world of motorsports today are, of all things, drift cars.